Posted 8:30 pm by Mike & filed under Raised Beds & Gardening tips. The rain has been great for the garden. Everything has been growing well, a bit too well and kind of crazy so we had to come up with solutions on the fly. 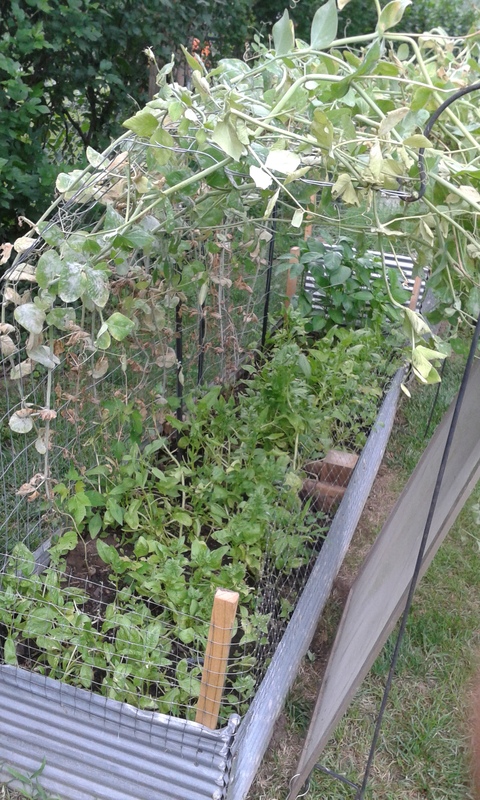 Getting the peas a larger area to grow meant arching the trellis. This worked out well as the heavily harvested spinach needs shade too…two solutions in one. The screen you see here is holding the overgrowth and is completely expandable and opens wider to support continued growth. 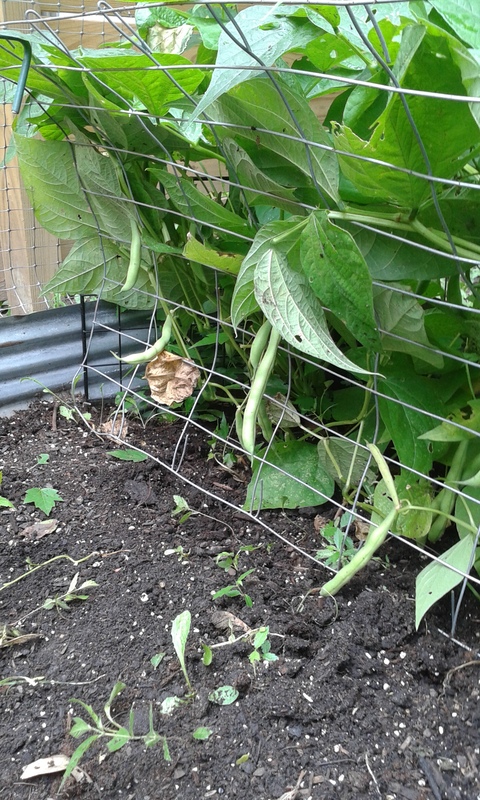 The beans started growing up the fence then all over every where also. The solution here was to add a fence we could lift up so the beans would hang down and be easily harvested. All of these factors have already been noted for next years garden plan.